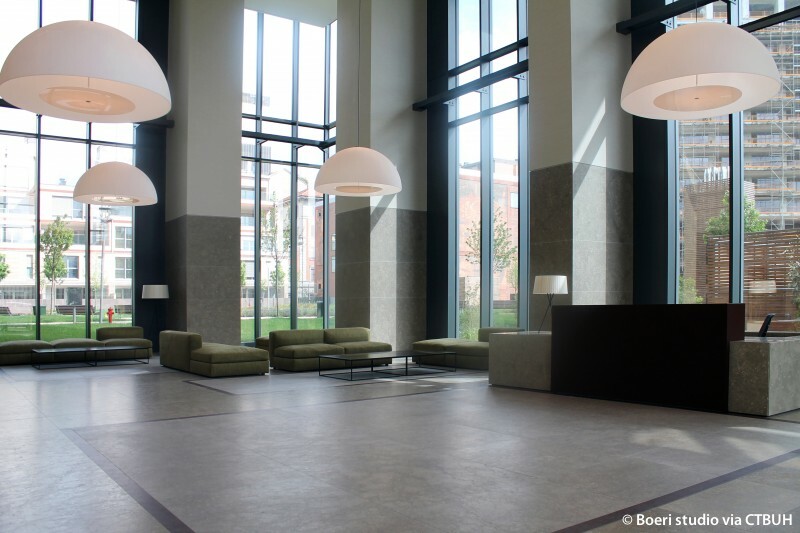 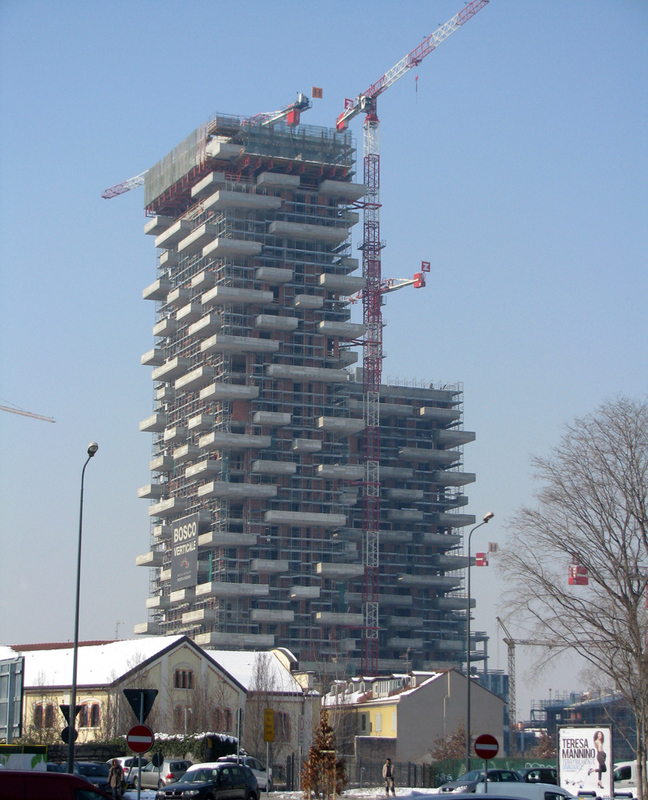 Main Contractor Colombo Costruzioni S.p.A.;	ZH Construction Company S.p.A.
• Interiors	 COIMA Image;	Dolce Vita Capital S.r.l. 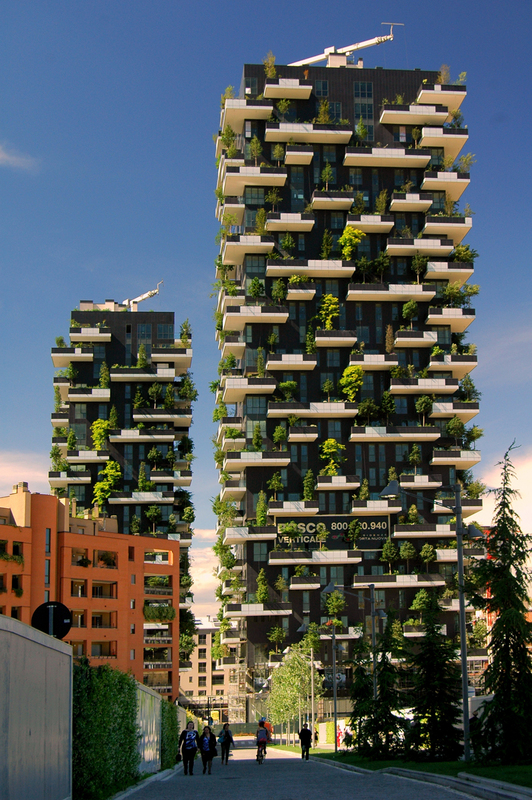 Bosco Verticale, literally “Vertical Forest,” is one of the most intensive living green façades ever realized. 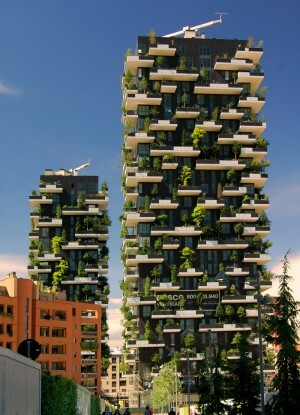 It utilizes an architectural concept that replaces traditional cladding materials with screens of vegetation creating a distinct microclimate that works to improve the sustainability of the structure. 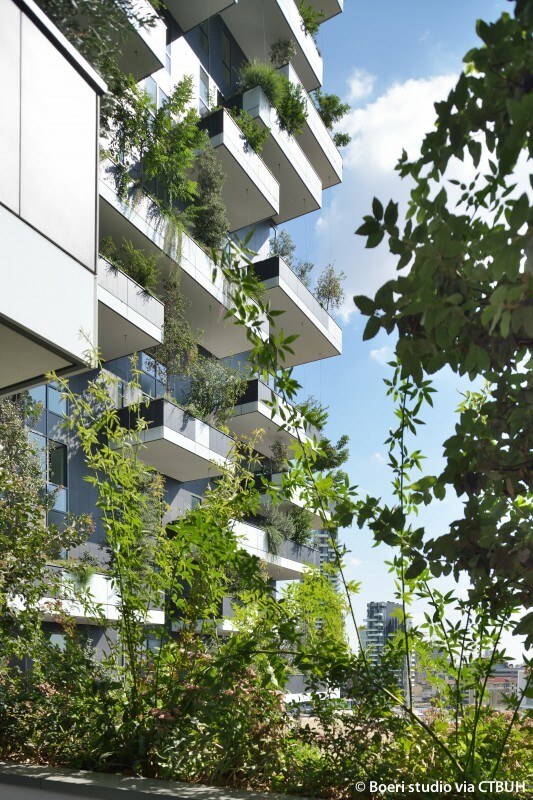 This type of design creates an urban ecosystem that encourages interaction between the flora, fauna, and the apartments’ residents. 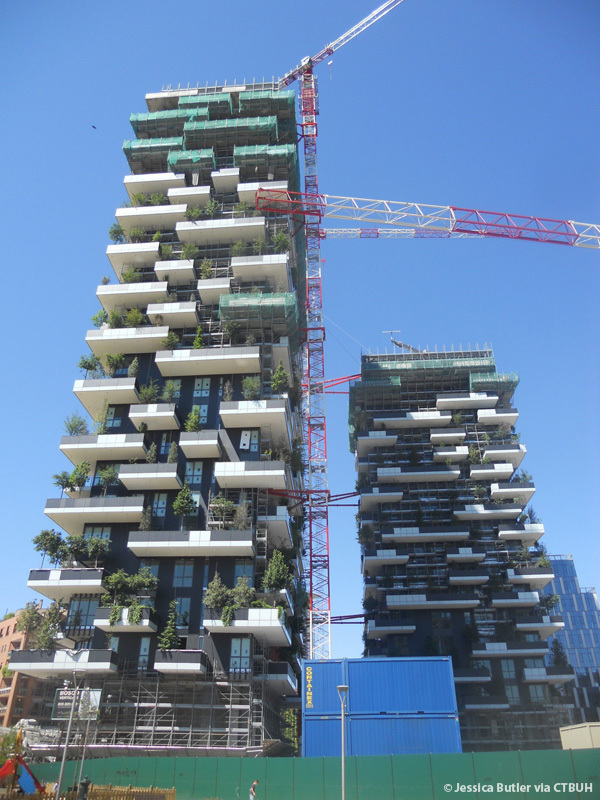 The tower is home to 480 big and medium size trees, 250 small size trees, 11,000 groundcover plants and 5,000 shrubs, which is equivalent to an entire hectare of forest cover. 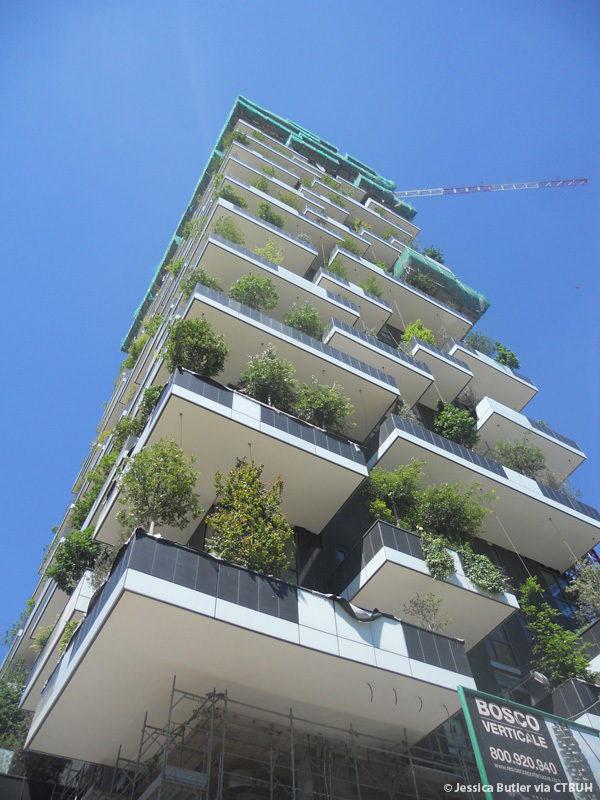 Along with creating a beautiful façade, the incorporation of vegetation into the structure adds a number of sustainable design elements. 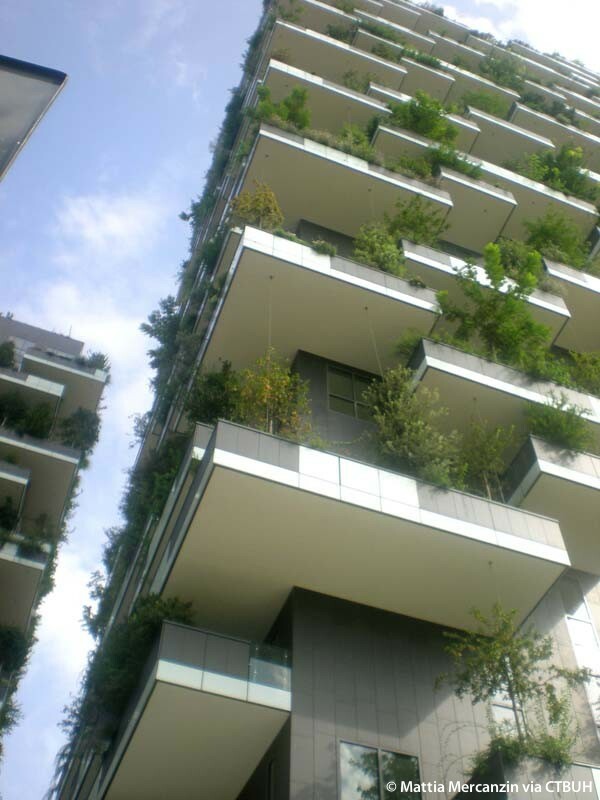 The foliage acts to improve air quality by filtering out dust and sequestering carbon, while also mitigating the urban heat island effect and reducing noise pollution. 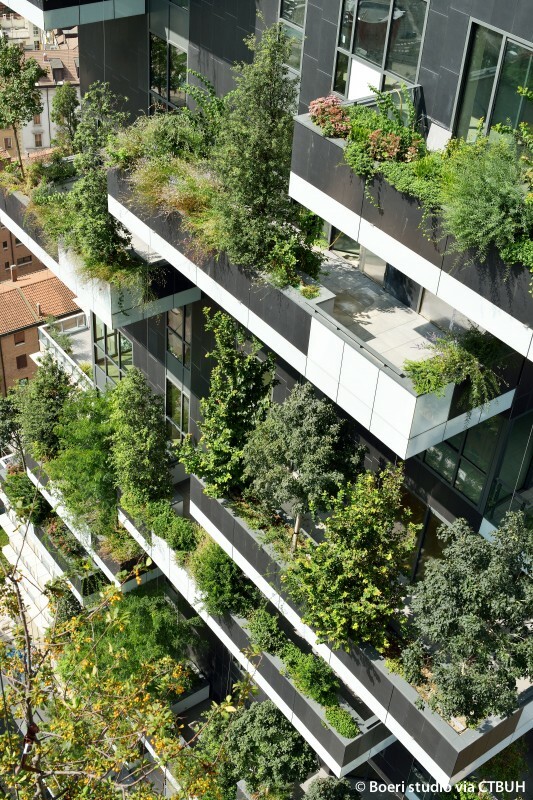 As a whole, the living green façade concurrently stimulates interaction with the surrounding environment while also protecting against it. 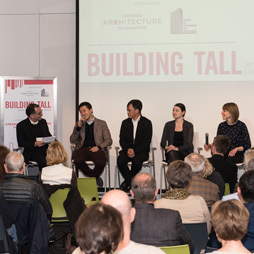 The Chicago Architecture Foundation (CAF) and CTBUH hosted a panel discussion on the movement to incorporate green features into tall buildings. 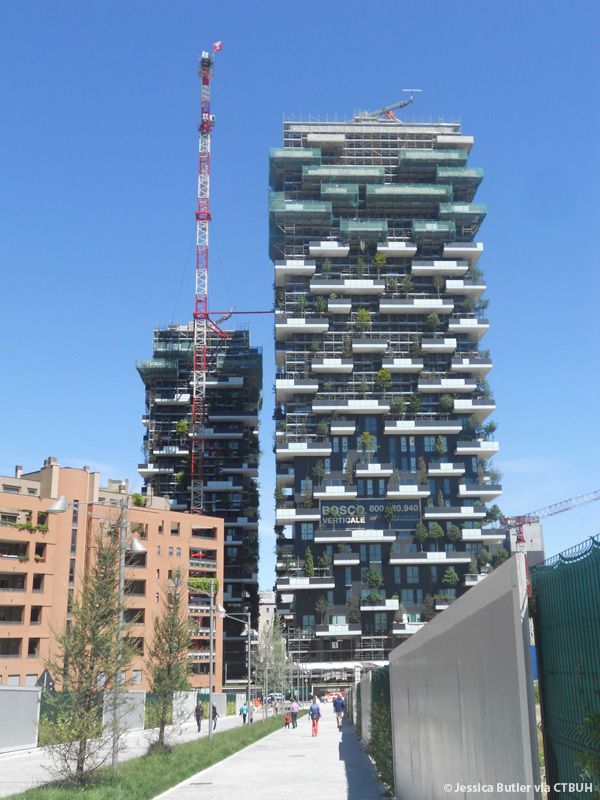 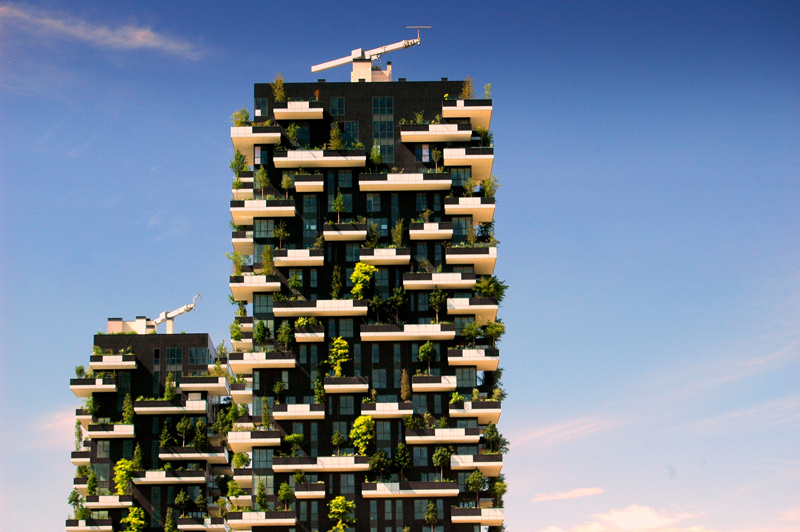 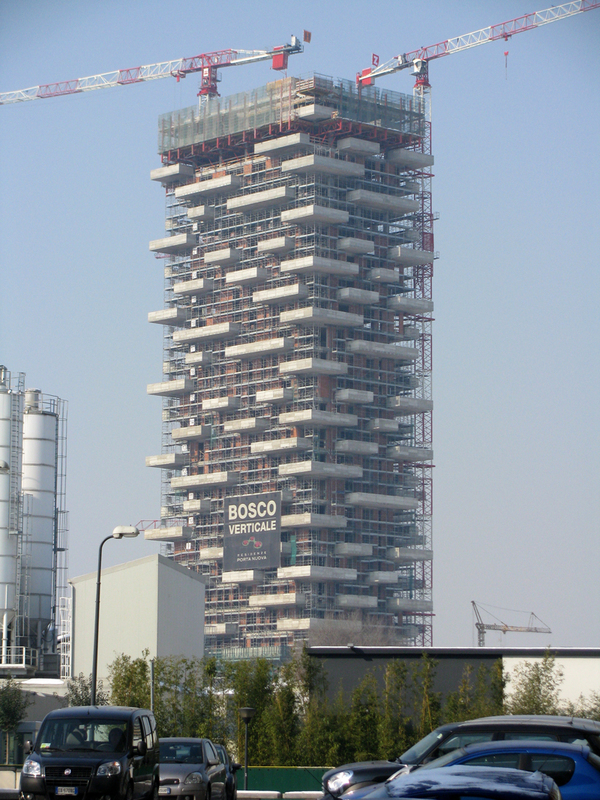 The Vertical Greenery research report on the high-rise vegetation of Bosco Verticale is now available to download for free. 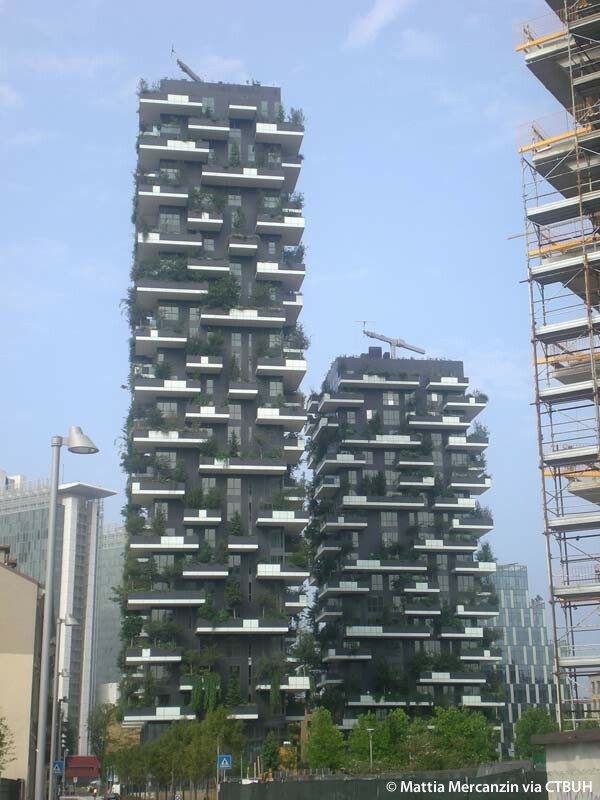 The American Society of Civil Engineers reviews the CTBUH report on vertical greenery sponsored by Arup. 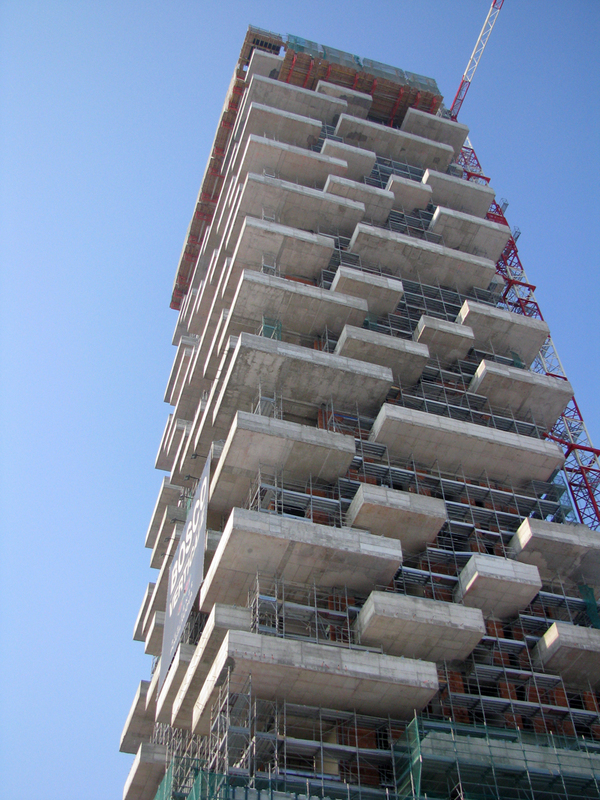 Executive Director Antony Wood is interviewed on the report. 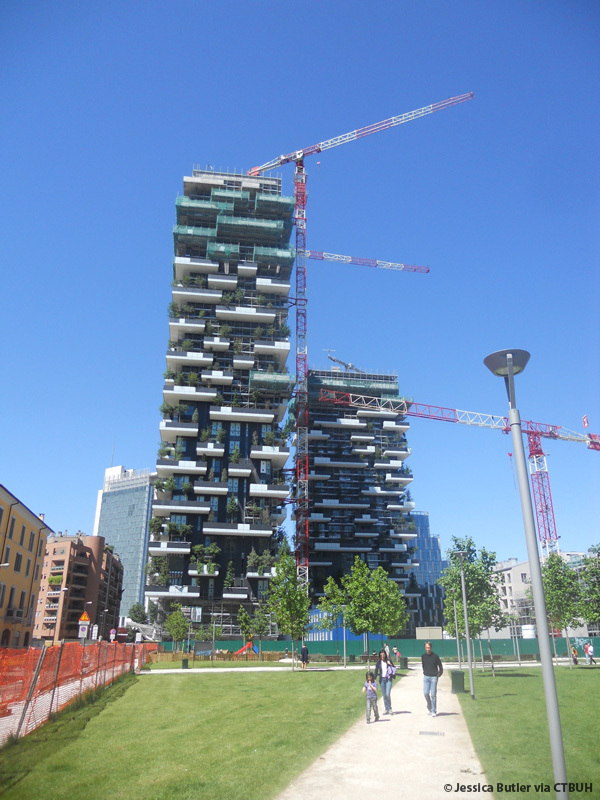 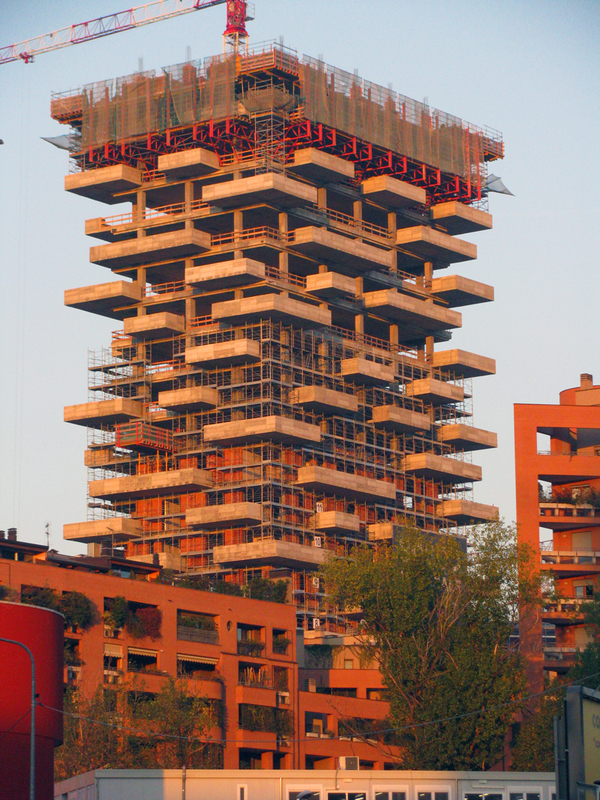 A research team from Iuav University of Venice, Italy, was named the winner of the CTBUH’s second research seed funding grant during the 2013 London Conference Dinner.